Trousers available in 3 material versions: cotton ripstop, polycotton ripstop polycotton twill and 12 colors / camouflages: pl desert, beige, black, olive green, us woodland, pl woodland, coyote, adaptive green, camogrom, olive drab, shadow grey and navy blue. 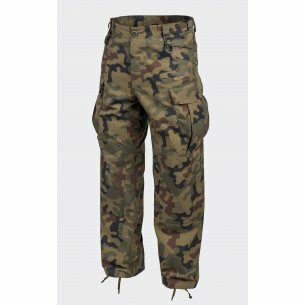 Men's helikon tex pants - perfect camouflage. Men's helikon tex pants quickly became a hit of the store sale hwesta.eu. 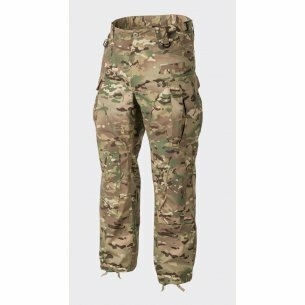 The SFU Next® military pants (Special Forces Uniform Next) are excellent quality clothing that works well in all applications. 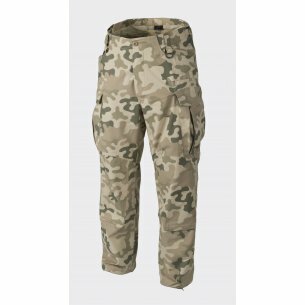 Regardless of whether we need trousers for an occasional trip to the forest or a reliable camouflage for a weekend paintball trip, the helikon tex men's trousers are a great choice for every lover of being invisible. It is worth stopping for a moment and thinking - is not the highest quality the most valuable asset in today's world? How many times poor quality Chinese products spoiled after a month of use, taking away our joy of pleasure, and at the same time costing a fortune? Military trousers offered by the hwesta do not cause these problems. Excellent quality is their hallmark. 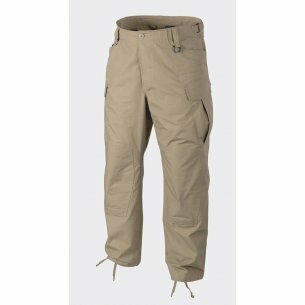 Why are men's helikon tex trousers the best choice? Because they are characterized by above-average strength. No weather conditions are unpleasant for them. Snow, rain. piercing the bones of the cold - men's pants helikon tex can handle anywhere. They have exactly the same character as those who wear them - athletes, trekkers, members of paramilitary formations, mountain rescuers and paramedics, so-called contractors, security guards, travelers and hunters - the character of invincible warriors. It is the couples chosen in such a way that they can get anywhere. In the urban jungle, wooded area or on a mountain trail with thickly overgrown trees and shrubs - wherever regular trousers are submitted, the helikon tex men's trousers feel the best! Excellent properties are their characteristic feature. The tex helicon pants prove that men's trousers are one of the best types of pants for every occasion. They are equipped with a number of various pockets in which we can put everything we need in a crisis situation. Members of the paramilitary formation will place equipment that will save their lives during an external threat. Mountain rescuers will appreciate the opportunity to hide practically the entire first aid kit in the pockets of military pants helicon tex Special Forces Uniform Next. Who knows how many human lives will be torn out of it by the claw of death? All kinds of pocket knives and handy knives, which provide invaluable merit during difficult situations happening in inaccessible mountain trails, will find here many excellent caches. Finally, travelers who are most troubled by the lack of space for the necessary equipment. How many times have we been unable to pack enough vouchers for a very exhausting trip? From now on it's a thing of the past. SFU NEXT helicon tex pants change reality! Hunters will also have no reason to complain. Excellent camouflage properties guarantee successful hunting, regardless of the requirements of the terrain on which the hunt takes place. In cavernous pockets we are able to hide additional lures or knives for special applications. Also flashlights can easily and easily fit in. It is also worth mentioning the excellent strength of helicon tex. 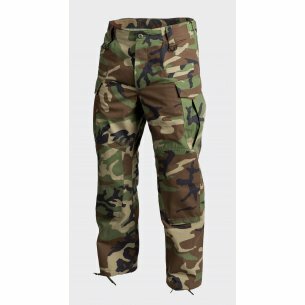 Moro trousers / military pants are generally famous for their solidity and longevity, but men's helikon tex pants raise these qualities to a whole new heights, proving that progress in this area is still possible. Helikon tex Special Forces Uniform Next come in three different material variants: ripstop cotton, polycotton ripstop, and polycotton twill. Talks the number of possible color combinations makes a huge impression. Pl desert, beige, black, olive green, us woodland, pl woodland, coyote, adaptive green, camogrom, olive drab, shadow gray and navy blue. Each of them feels best somewhere else. And so the element of desert is the desert. The Błędów Desert saw many a traveler wearing this model of trousers. Navy blue perfectly conceals us during rainy weather. SFU NEXT® (Special Forces Uniform Next) from Helikon-Tex is the latest revision of the legendary SFU (Special Forces Uniform). It guarantees familiar quality and completely new experiences related to numerous introduced improvements. We highly recommend them. The choice of these trousers has been made by many of our clients. Everyone is happy!